The deficit at the largest private-sector pension system in the U.K. continues to balloon, even as its investment team achieves double-digit returns. Britains academics have a rich history of protest. In 1968, British lecturers famously joined their students protesting against the Vietnam War. In 2003, they numbered among the thousands protesting the Iraq War. More recently, though, its matters closer to home that have been troubling the academic elite. Since 2011, lecturers and academics have walked out dozens of times in protest at changes  and proposed changes  to their highly prized retirement fund. Executives in charge of the Universities Superannuation Scheme (USS) have undertaken a series of benefit entitlement reforms and have raised the amount paid in to the fund by university employees. All of this has been done to manage a potential mismatch between the money currently in the pot and the amount that needs to be paid out. But alterations to the USS are a thorny subject. With more than £60 billion ($78 billion) in assets, the USS is the largest private sector pension scheme in the United Kingdom. It offers retirement provision to lecturers and academic staff and boasts more than 390,000 members comprised of 190,546 active participants, 66,419 pensioners, and 139,313 deferred members. Given the pride that members take in their scheme, it is, perhaps, understandable that the trade union that represents USS members felt the need to speak out when the pension plan released its annual report at the end of July. The shocking headline  announcing that the schemes deficit had grown by a whopping £9 billion in 12 months  made global waves. The USS was now harboring a £17.5 billion deficit, but even the exact size of this deficit had become a contentious issue  more on that in a moment. In the hours that followed the breaking news, the general secretary of the University and College Union (UCU), Sally Hunt, said recent years had not been good for scheme members. The value of their pensions had fallen while at the same time members were being asked to pay more, Hunt concluded. The word that has the unions up in arms is deficit. A retirement plan racks up a deficit when the liabilities outweigh the assets. It means that the cash needed to cover future retirements isnt available at the current time and could mean that members of the scheme may not get the benefits they were promised at the outset. USS primarily blames falling long-term interest rates. 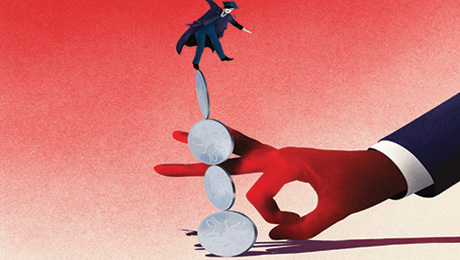 For most defined benefit funds, low interest rates mean their promised pensions cost more. Thats true for USS, and many plans like it. But as most plans weather the rate storm, with a bailout here and there, the lower interest rates hit USS like a hurricane. The problem didnt surface overnight  the schemes trustees have been battling to tackle the liability issue for years. Back in 2011, USS announced a £2.9 billion shortfall. As a remedy, the organization looked to cut back on some of the guaranteed pension checks that it promised to pay out. For members who had long celebrated their schemes first-rate benefits and investment track record, this was unacceptable. Roughly a third of British university lecturers walked out in protest of the cuts. No longer would members reap a full pension starting at age 60 (provided their employing universities consented). Retirement age jumped to the bog standard 65, and USS pegged it to the U.K. state pension age, which is on track to hit 68 around 2037. The raised age bar was a bitter pill to swallow, but members found its accompaniment even worse. USS told academics they would have to pay in more. Contributions from employees increased from 6.35 percent to 7.5 percent. A professor earning £60,000 per year previously would have paid £191 a month; after the schemes changes and tax relief, that bill came to £225  an increase of £34 per month. The 2011 rules also introduced the new career average section for the first time. This meant members who joined after October 2011 would have their benefits calculated differently  and for many, the end result was a smaller pension check and a greater burden of responsibility. Before 2011, employing universities had shouldered benefit bills, but the reforms split future cost rises between members and employers, 35 percent to 65 percent. Sure enough, a request for subsequent changes would soon follow. In 2014, USS announced the outcome of the latest valuation  held every three years. It wasnt good. Despite the painful changes introduced in 2011, the deficit was still growing. According to the schemes funding and actuarial reports, which measured the position as of March 31, 2014, the deficit had grown to £5.3 billion, £2.4 million larger than it was in 2011. After two years of wrangling with unions, more walk-outs, and strikes, USS introduced its second set of revisions in 2016. As predicted by the UCU two years earlier, it was deemed necessary to cease operating two separate schemes. And, beginning April 1, 2016, USS implemented a single scheme with a contribution rate of 8 percent  higher than the previous 7.5 percent. In October of that year it limited the defined benefit element of the scheme to just the first £55,000 of a members salary. It meant that those earning more than £55,000 would instead have additional contributions put into a defined contribution scheme. While these changes are already concerning to the academic community, some believe that more reforms are likely when USS announces the results of its latest actuarial valuation this fall. Nine years ago, then-chairman Martin Harris told members that USS was sitting on a £707 million surplus in the 200809 Members Annual Report. At the time, this was sufficient to cover 103 percent of the benefits which had accrued. But the economic environment changed quickly. To navigate the changing investment landscape, the management team made structural and portfolio changes. They upped the in-house expertise and reduced their reliance on external fund managers. With more expertise in-house, they were able to diversify their assets further and slash the concentration of listed equities. Other changes over the past decade include a substantial hike in the exposure to private assets, which now totals around 25 percent of the portfolio. Increasingly, this exposure has been achieved through investing directly rather than through funds. 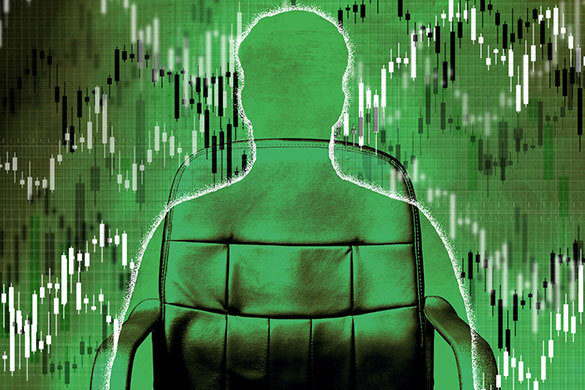 The person masterminding these changes is chief investment officer Roger Gray, a respected investor, both by industry peers and the wider financial services community. Only last year he was awarded the Lifetime Achievement Award at Institutional Investors own European Awards. Gray has also been seeking to hedge liabilities by introducing other new tools to the portfolio such as long-dated inflation swap books, direct lending, and direct infrastructure assets. He has also embraced factor investing, commodities, and specialist credit tools such as mortgage derivatives. Despite this investment wizardry, the deficit has continued to grab the headlines  even as the investment strategy looks like it is delivering over a longer period. USSs trustees use a reference portfolio approach to set a benchmark for the investment team to beat. They say that the current reference portfolio comprises equities (62.5 percent), U.K. property (7.5 percent), credit and emerging market debt (10 percent), U.K. gilts (25 percent) and cash (-5 percent). According to USS group chief executive officer Bill Galvin, the investment portfolio outperformed this benchmark in the five years ending March 2017, generating 50 basis points of added value after costs, or £1.1 billion of investment returns over the reference portfolio over the five-year period. And, when assessed in isolation, the investment team at USS had what could easily be called a good year: The portfolio returned 21 percent in the 12 months ending March 2017. Not bad, right? But heres the rub. When the performance is assessed against the liabilities, a different picture emerges. The portfolio might have grown by 21 percent over the last fiscal year, but the total liabilities ballooned by 33 percent to £77.5 billion. Gray says some of this discrepancy can be explained by the U.K.s vote to leave the European Union. The sterling value of the schemes assets rose due to currency moves, he explains. The impact on liabilities was negative as U.K. gilt yields fell absolutely and relative to other bond markets. Gray also admits that the funds bond allocations have since become somewhat less UK-centric. As of the end of March 2017, the portfolio was invested 55 percent in equities, 16.5 percent in inflation-linked developed market bonds, 14 percent in credit and emerging markets debt, and 7.5 percent in other developed market government bonds. The remainder of the portfolio was invested in cash, property, or other assets. In this years annual report, Galvin acknowledged that over a one-year period the investment return had fallen short, but argued the picture was much rosier over a five-year period. He said the investment teams positioning in U.K. index-linked gilts and North Amercian equities were to blame for the underperformance over the year, compared to the benchmark index. Complicating matters is the deficit itself, the size of which varies depending on who you ask. Two separate accounting measurements offer two very different answers. The smaller estimate of the deficit  £12.6 billion  is based on the technical provisions basis in USSs report and accounts. Technical provisions are a funding target which U.K. schemes must set based on The Pensions Regulators rules. They offer a target figure on which to base a recovery plan to plug deficits. Supporters of the current system, meanwhile, say it does provide an accurate view of the amount needed to meet liabilities. And it is the accepted actuarial method to assess the financial position of a scheme. But whichever side youre on, one fact is undisputed: British defined benefit schemes are becoming an increasingly rare breed. Baker said that Mercer has witnessed plenty of schemes not wanting to put additional cash in right now due to the prospect that yields might go back the other way at some point, leaving the scheme in surplus. Of course, for USS, the multibillion pound deficit will require a remedy far beyond a reversal in the current yield trend. While USS maintains that there is a light at the end of the tunnel, reassurances from the schemes management team have done little to stimulate confidence. Critics say that the scheme is in crisis and that its forthcoming actuarial valuation in October will force still further benefit cuts or increases to member payments. 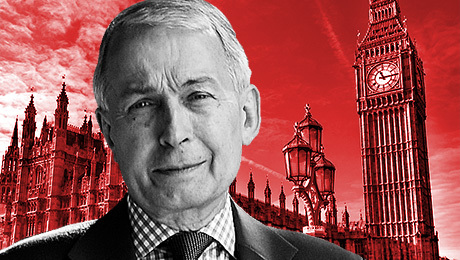 In a letter sent to the U.K. regulatory body The Pensions Regulator  and shared with Institutional Investor  Frank Field, chairman of the House of Commons Work and Pensions committee, said previous recovery plans put forward by USS in 2011 and 2014 to plug the deficit had failed, adding that he is not optimistic about the forthcoming actuarial valuation scheduled to take place in 2017. Field asked The Pensions Regulator to offer an explanation of its own regulatory assessment of the recovery plans that USS has introduced in recent years as well as any discussions that have taken place between the regulator and the pension scheme trustees. Universities UK  the organization that represents the interests of the schemes employer colleges and universities  said it too had received a letter from Frank Field and would be responding shortly. 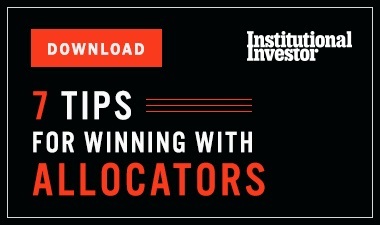 For industry insiders who have previously managed university schemes, it is the asset allocation and portfolio positioning over the past year which have been particularly exasperating. Investment consultant John Ralfe points out that it has become common practice among other DB schemes to separate portfolios into risk seeking and liability matching sections. He believes USS should adopt this approach. The value of pensions in payment at the last actuarial valuation was about 40 percent of liabilities, he says. If you spoke to anybody, whatever their philosophical approach, and said what is the proportion of matching bonds should you hold, they would say at least the value of the pensions in payment. The USS trustees have been caught out, he adds. USS disagrees. In a written statement to Institutional Investor, a spokeswoman for USS said the scheme had not previously matched liability-hedging assets against pensions in payment. Risk in the scheme is managed to an overall risk budget agreed with employers, she explained. She said that this budget is based on the employers tolerance for future contribution volatility, should the investment performance be lower than anticipated. In line with this appetite, the trustee has progressively diversified its strategic asset allocation from a 10 percent allocation to bonds in 2009 to a 35 percent bond allocation (25 percent U.K. gilts, 10 percent non-gilts) in the current reference portfolio, she said. Additonally, USS has drawn up a 20-year asset allocation plan based on the assumption that fixed income allocations in the reference portfolio will increase by 20 percent of scheme assets over the coming two decades. The scheme says these policies are strongly influenced by the fact that the scheme remains open to DB benefit accrual, has liabilities with long average duration, and benefits from the strength of its covenant with the higher education sector. Strong covenant or not, Britains hoard of lecturers and academics enrolled in the USS scheme are going to become a lot more vocal in the coming months. Its state is causing much concern among university staff, especially so soon after the last changes, he said. Bruce Shakespeare, pensions officer at the University of Oxford, says he has heard murmurings of industrial action in recent days, but concedes that members have little choice but to trust the trustees. 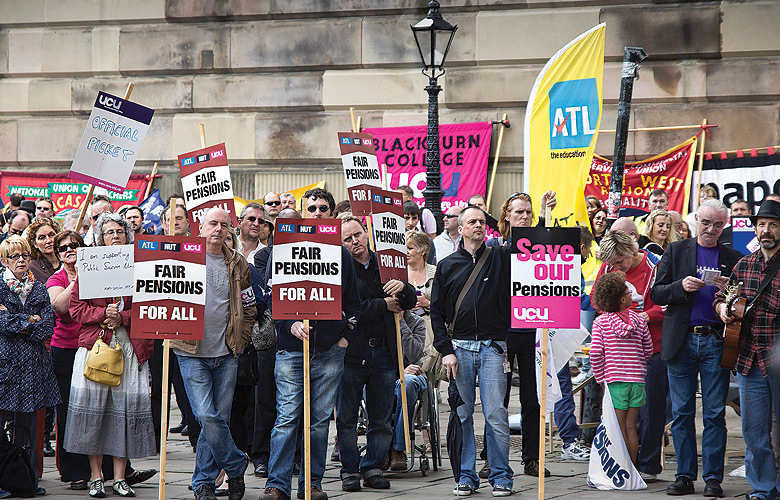 While USS has already started discussions with the university employers about future payments, the UCU has said that USS may be losing its place as the university sectors pension scheme of choice. A recent paper by the UCU suggested that the rival Teachers Pension Scheme is offering superior terms and value for money. If the forthcoming actuarial valuation leads to the suggestion of further benefit cuts and increased contributions from universities, the reaction is likely to be beyond hostile. On top of all of this, the U.K.s Work and Pensions Committee is poised to wade in, raising tensions still further. Frank Fields letters to the Pensions Regulator and the minister for Universities, Science, Research and Innovation have made it clear that the USS deficit is now of sufficient concern to warrant parliamentary discussion. As the chair-elect of the Work and Pensions Committeee, he has outlined a plan to make the sustainability of DB pensions a priority. His recent missives show that the USS deficit will likely be front of mind for the newly formed committee. CORRECTION: An earlier version of this story wrongly misspelt Roger Grays surname as Guy. The error has now been corrected to reflect this.